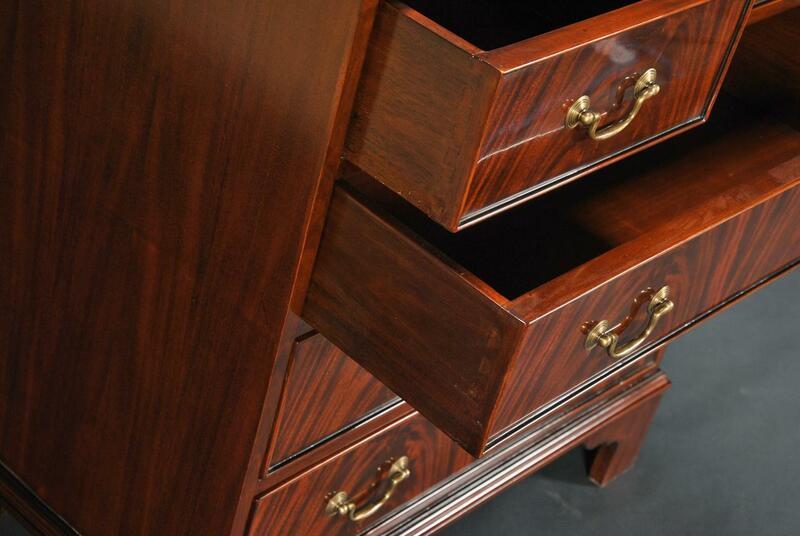 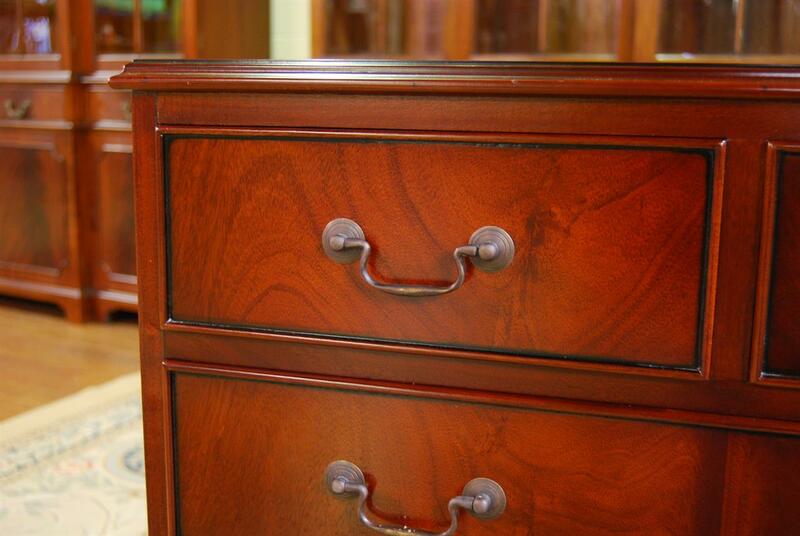 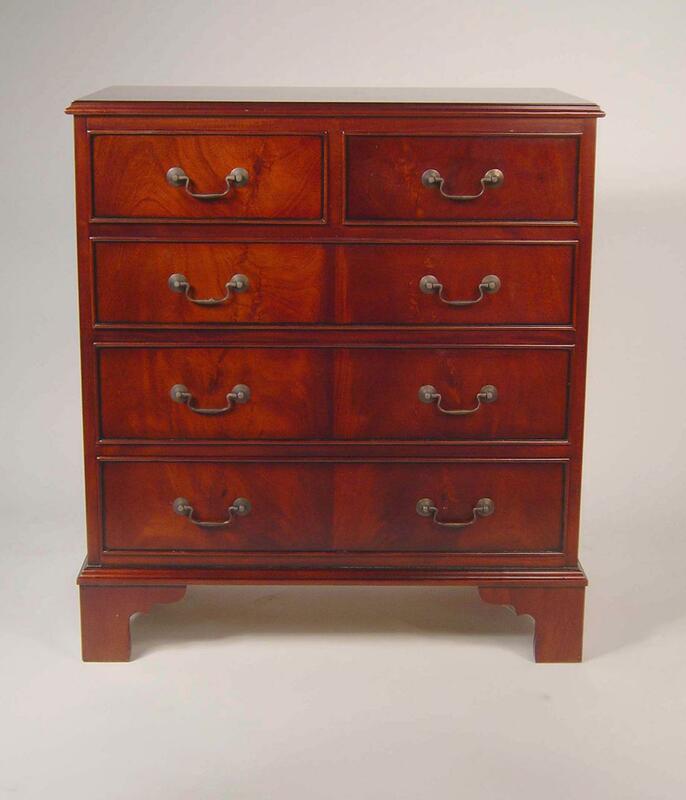 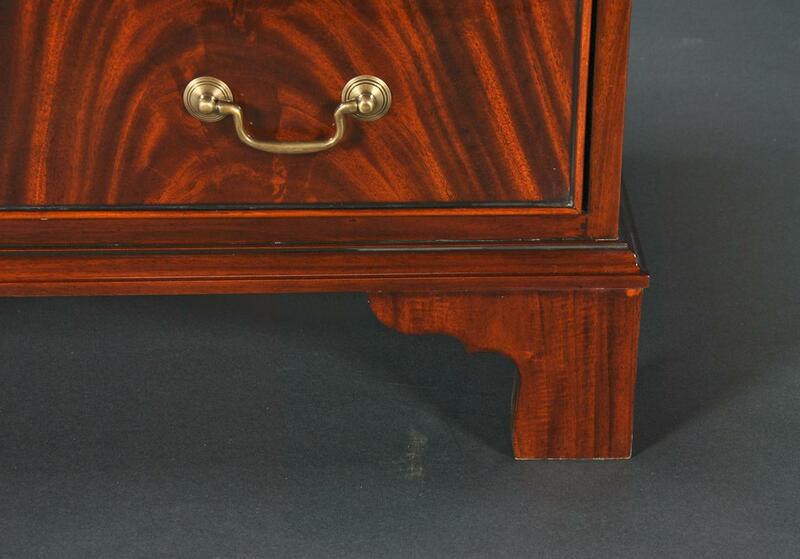 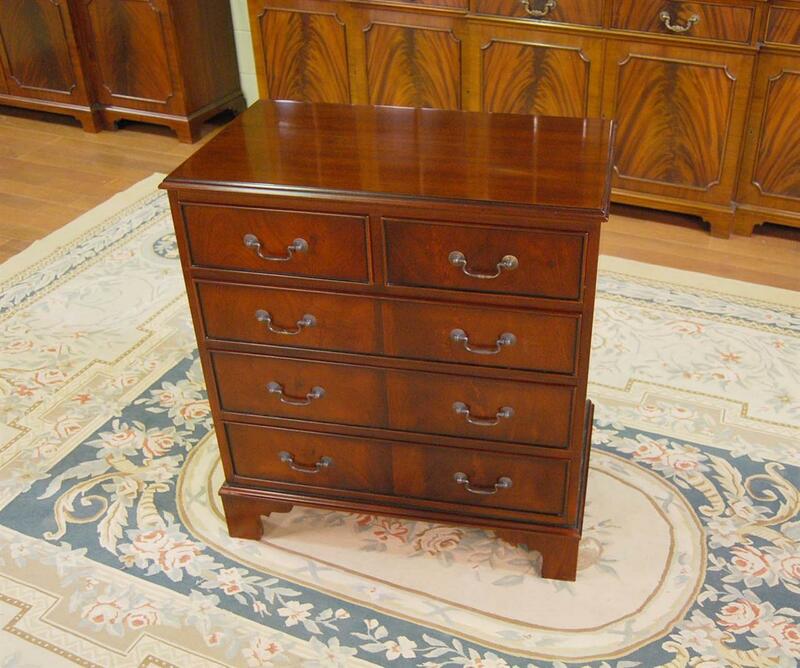 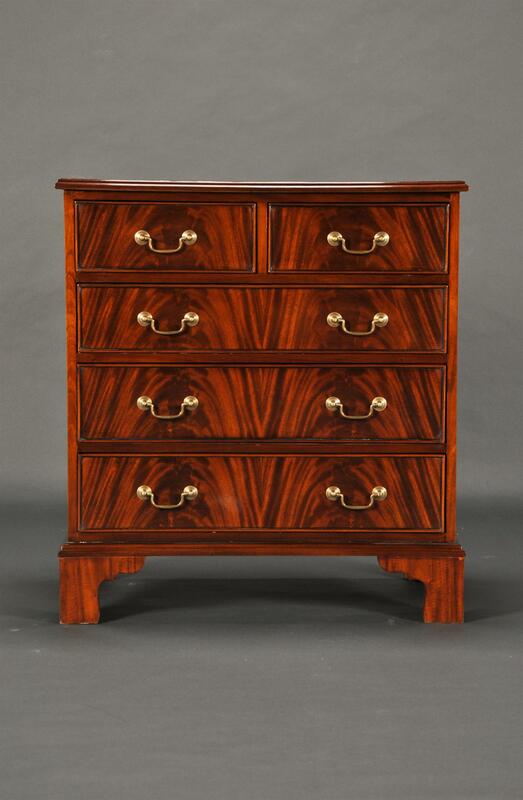 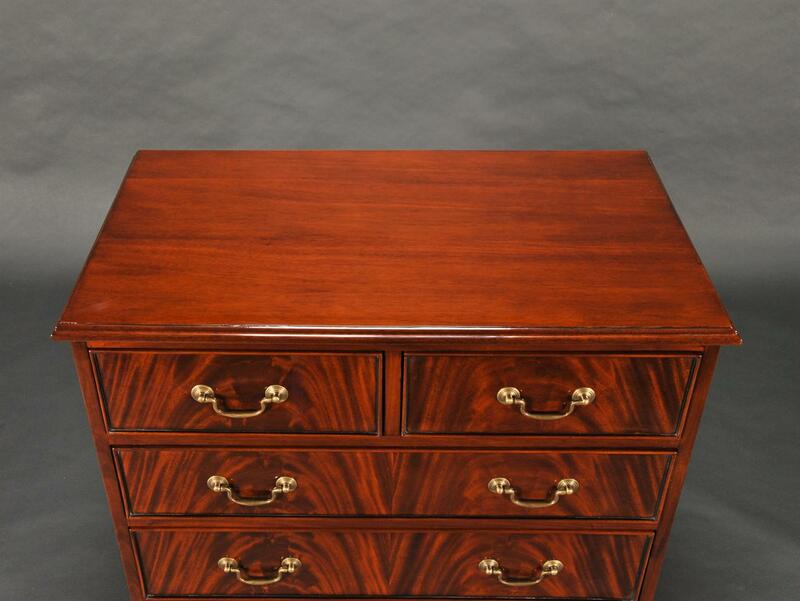 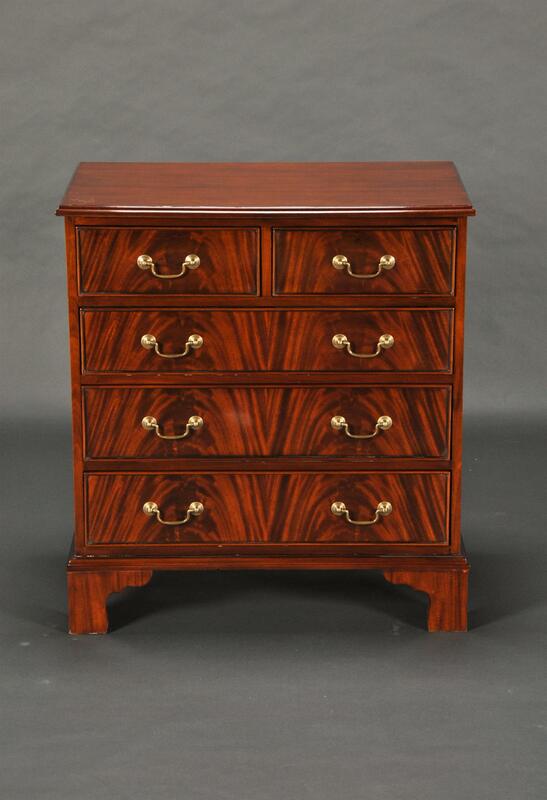 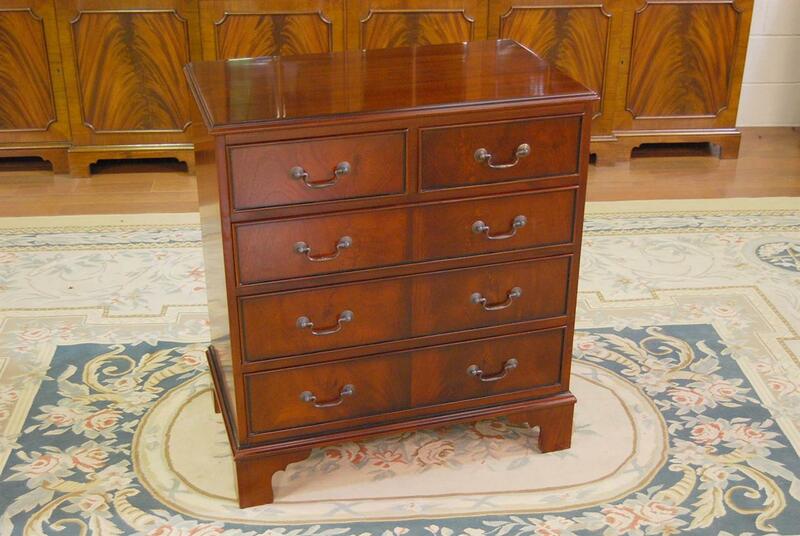 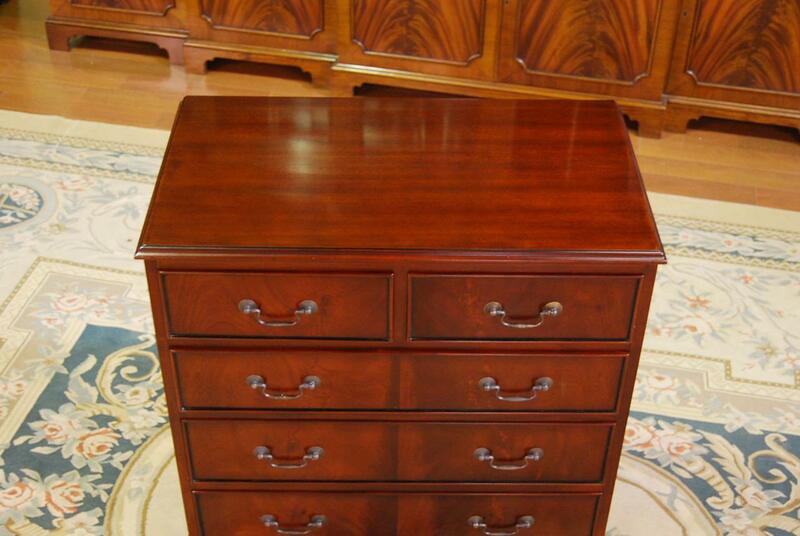 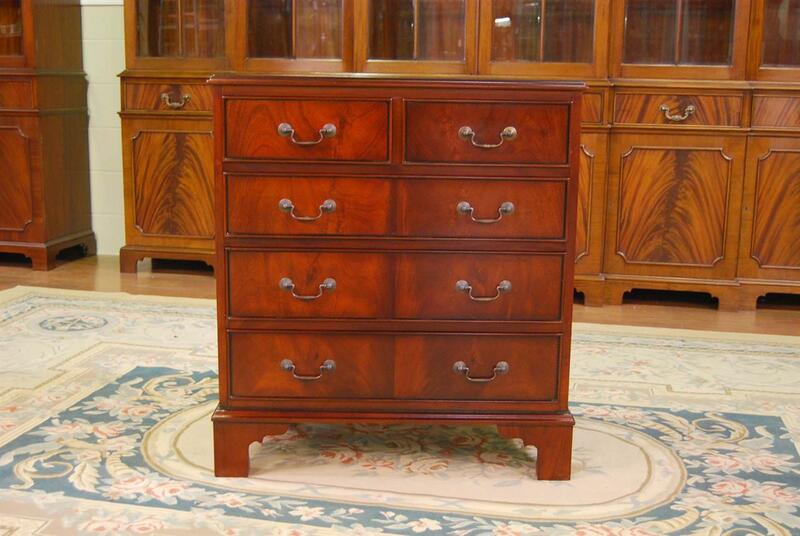 Description: Simple and refined English style chest of drawers which can be used in a variety of ways. 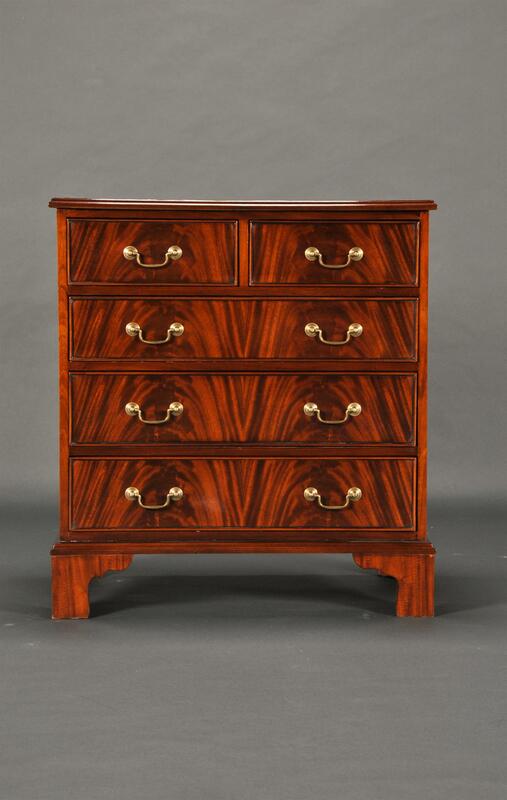 Ideal as a bachelors chest in the bedroom this piece would also find itself at home in the living room as either an accent piece or an over sized end table. 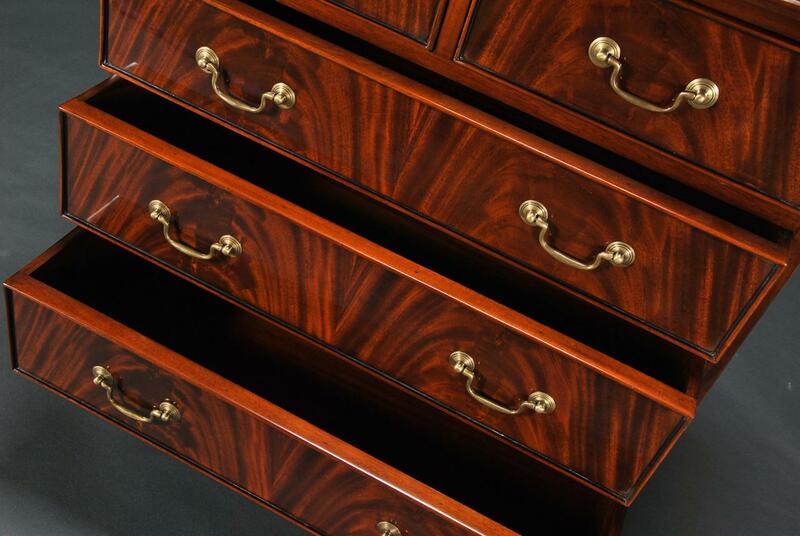 It's straight line solid mahogany construction with beautiful swirl mahogany veneers gives it a look that will compliment any decor. 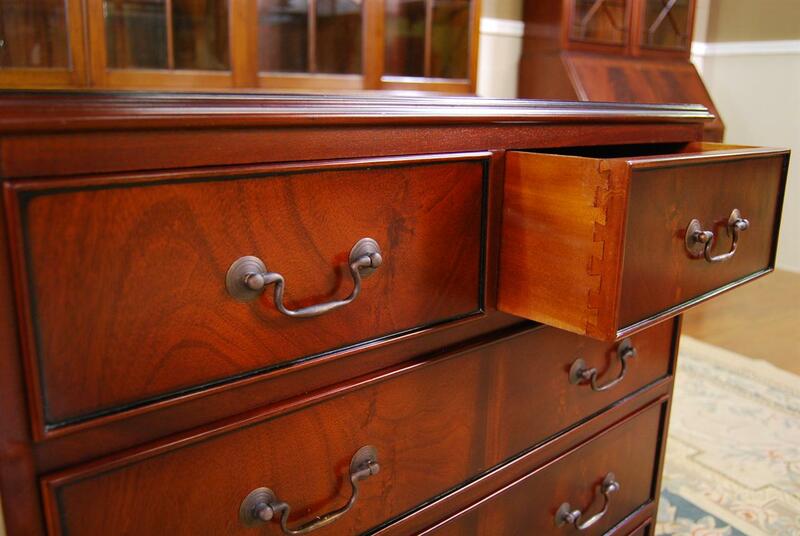 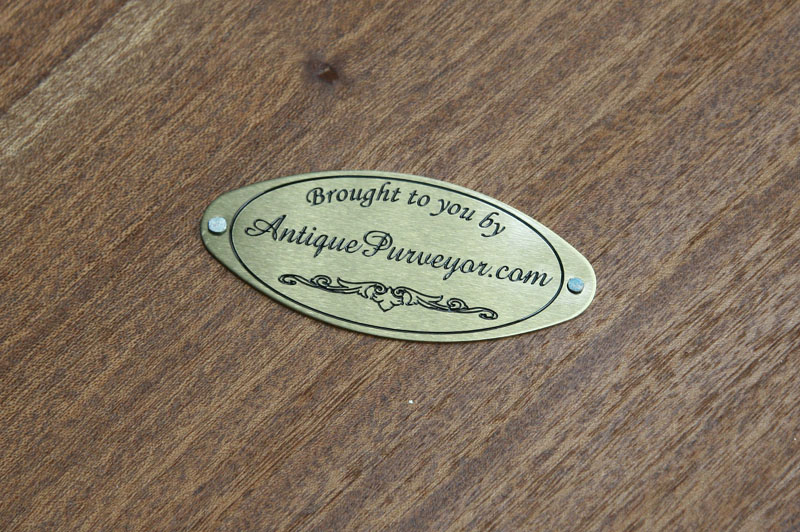 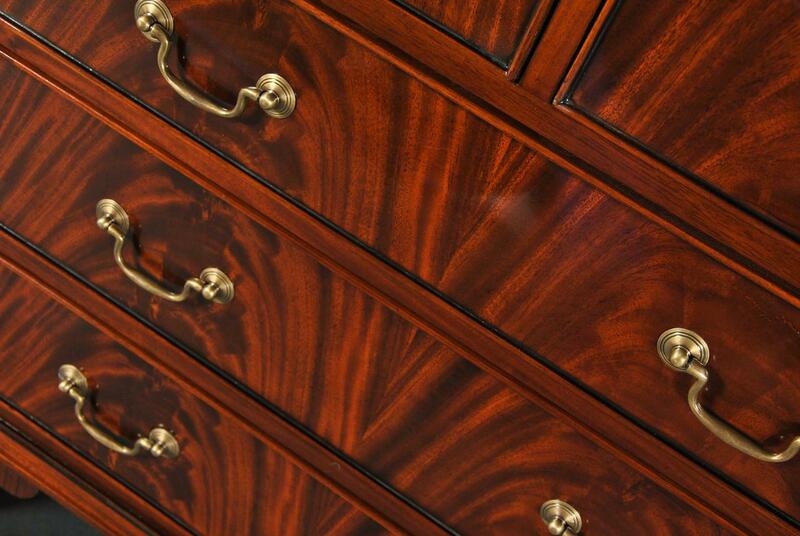 Solid brass hardware as well as dovetailed drawers.